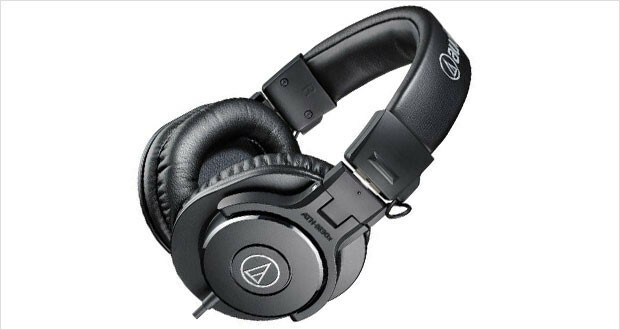 Audio-Technica is a company renowned for its excellent design and fundamentals when manufacturing studio monitors. They do not add on any frills with their products, and one would seldom find in-line controls, mic and other things in their cords. What they do well is make one of the best over ear headphones in the world. 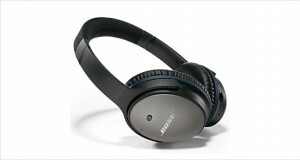 Some of their noise cancelling products also vie for the award of best noise cancelling headphones as well. The Audio-Technica ATH-M30x headphones are probably one of the best value for money over ear studio monitors around. They have a warm sound signature that adds depth to songs (subtly, not overtly!) and also allow you to mix, track and field-record songs beautifully. The treble is sweet without being extensive, the mids are enveloping without becoming overwhelming and the bass is rich but not thumping. Overall, these are accurate cans that are comfortable and cheap! 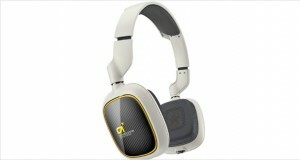 The ATH-M30x has taken the design template directly from its predecessor, which is not that bad a thing. The previous iteration was, in many ways a low-cost chassis with no extra fancy materials but it got the job done with extreme comfort. The M30x body has one important difference – it is collapsible for comfort, like the original M35. This means that it can theoretically be taken along in your bag without being too space-consuming. Otherwise the design is Spartan, with no extra frills. But for a full-sized studio monitor under $100, that is not too bad! Dimensions11.4 x 10 x 4.1"
The build quality is great, considering that it is made of hard plastic throughout. It does not seem as sturdy or durable as its bigger cousin, the M50x, but it should get the job done. The single-sided thick cord ends with a heavy duty reinforced plug that looks like it can stand a bit of battering. The swivel ear cups also allow you to easily monitor without interference. The comfort factor is very high with Audio-Technica’s studio monitor range. While the M30x is somewhat heavy, it is compensated very well with the headband pads and the soft ear cups that even out the weight distribution. You will feel like the headphones are on, but you will not be discomfited. The highs are very natural, but slightly warm which in our opinion adds instead of subtracts from the experience. Splendid mids smoothly allow one to experience the entire range of vocal brilliance. While there are better cans that give the experience, for $69 it’s hard to beat the M30x on the midrange response. Smooth lows that do not distort, but do not actually have any breathtaking thumps in them either. These are a tad bit warm as well. The acoustic seal from the pads perform adequately well enough, however some bit of ambient noise creeps in. Considering that these were made for studio use, it’s not that big a problem. The performance is excellent for the price, seriously. 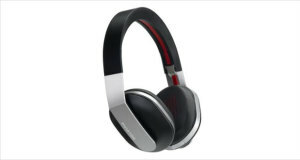 No other pair of headphones performs as well at this price point. The Audio-Technica ATH-M30x is an excellent device for the money. There are very few competitors to these wonderful cans. The Sony MDR V6 is the only thing that comes close enough with its outstanding performance, but where price is concerned the M30x still wins outright. Excellent price, outstanding performance, good build quality and studio monitor accuracy. What else does one need at $69? Oh did we mention that these are foldable? An insta-buy for the price.